It's been a year since the largest aquaponics roof farm in the world opened on the top of the Foodmet building at Anderlecht Abattoir. 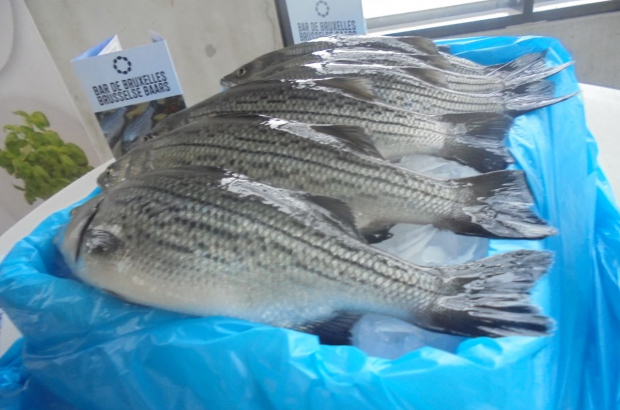 The completely chemical-free closed system uses the waste water from striped bass production to feed the crops they are growing above the fish tanks. Now, to complement the fish, tomatoes, herbs, leafy vegetables and fruit they are growing, they have joined forces with Le Champignon de Bruxelles, which is producing tonnes of mushrooms in the Abattoir's cellars. Le Champignon de Bruxelles produces four kinds of mushrooms, all of Japanese origin - Shitake, Maitake, Nameko and Irinii. "We want to produce mushrooms that are not produced in huge quantities in Belgium so that we can set profitable prices," says Hadrien Velge, one of the initiative's founders. "We sell them in organic shops and also to restaurants, mostly in Brussels." Velge adds: "We invented a new way to produce mushrooms. We use the spent grain from beer production and we use it as our primary ingredient for our substrate to produce mushrooms. "For example we go to Cantillon brewery, we collect the spent grain and then we pasteurise it. That means that we will have to heat it up for a couple of hours in order to remove bacteria and mushrooms that are already in it. "Once it's really clean then we inoculate, that means that we will put the mushrooms inside the substrate, we will mix it and we will fill it in bags where it will be incubated for two and a half months. Then we create autumn conditions so that the mushrooms grow." Since mushroom sales are seasonal, they are also using LED farming techniques in the cellars to grow microgreens. To maintain the smallest possible carbon footprint their deliveries are made by delivery bike. A great way to sample these fresh products and others is via eFarmz.be - an online fresh food provider also located along the canal in Anderlecht. eFarmz allows users to order a wide range of organic items from Belgian producers - including fruits and vegetables, dairy produce, bread, chocolate, juices, meat, fish, prepared dishes and meal boxes which contain all the ingredients necessary for specific recipes as well as the recipe itself. Products can be delivered to your house or one of 150 designated pick-up points all over Belgium. "All our products are from small producers with short supply chains," says founder Muriel Bernard. "The fish you order on Friday is caught on Sunday and delivered on Monday. All animals are free range, everything is organic. "You can find some specific granola made in Belgium, also a lot of different aromatic herbs. You can eat all week with products you find on eFarmz." The service aims to be respectful to the environment. "We minimise the packaging," Bernard explains. "We work as much as possible with reusable packaging in glass or in cardboard and for green vegetables we use plastic-like bags made from potato starch. "We deliver as much as possible with green vehicles like bikes or electric vehicles and when it’s not possible we use the most carbon footprint efficient schedule."